Are you looking for SEO Services in Chandigarh? 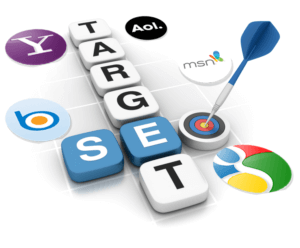 Now you can reach your potential customers with our SEO Services in Chandigarh. We at Antraajaal help you climb the ladder of searches and reach the top positions on various keywords And We provide the best services related to SEO. We follow ethical practices and make sure that you are on the search list. Also we are aware of the latest algorithms issued by Google. Make sure that we implement them. AntraaJaal provide SEO Services in Mohali, Chandigarh, and Panchkula as well. SEO is a process that aims to generate traffic from organic searches. It includes on page SEO and off page SEO. We make sure that your website has a good on-page SEO so that the keywords are implemented and Google recognizes it. It also includes the HTML codes, images optimization, and backlinks. We have ample experience in digital marketing and share your work on various platforms. We offer various packages as per your need. Our team works on your website and examines the weaknesses to fix them. They look into all minute details and optimize the website. content- we analyze the content and see if it is original. We also see the kind of information you need to give. Alt tags, meta tags, title tags and Headings. We undertake off page SEO and make sure that we divert enough traffic to your website. Why do you need SEO services in Chandigarh? Chandigarh is the most sought-after city in all respects. People from abroad look for various services here. The easiest way to look for any kind of services is through the net. Once your business is listed on Google and also shows well in terms of keywords, people are likely to approach. Digitalisation has helped us reach our customers. You need to act fast to make the most of it. 90% people are on the net and depend on their mobile for any kind of assistance. Your website will be visible on the first pages of search engines. Antraajaal provides digital marketing services for any kind of business. So, if you want to grow your business then you need to be visible. Hire a good company for SEO services in Chandigarh.